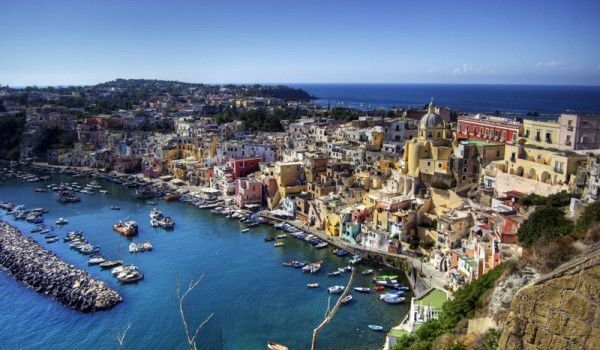 After Rome and Milan, the third largest city in Italy is Naples. The city, is located in the beautiful Naples Bay. On one side of the city are fields that are home to active volcanic zones. Naples is the main center of the Campania region and the province of Naples. The phrase "See Naples and die! " is believed to had originated from the time of Virgil. When founded by the Greeks the village was the center of everything worth seeing in this life. 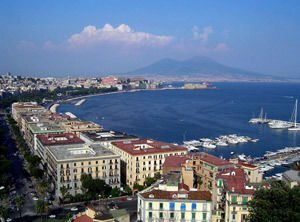 For centuries Naples had a reputation for being a dirty, unorganized and sinister city. One version of the origin of the phrase is associated with frequent outbreaks of cholera. Another version of the origin of the phrase, See Naples and die! Is associated with prostitution. Between the 18th and 20th century, the oldest profession on earth is diligently practiced in Naples and is a major source of syphilis in the Old Continent. Today Naples is synonymous with music, art, culture, good food and entertainment. Perhaps emphasis is placed also of course on Naples pizza. The main square of the town is located in the central part and east of it is the royal palace where one of the residences of the Bourbon kings of Naples. In the west you can visit the church of San Francesco di Paola. It is remarkable for its spectacular façade - a portal with six columns and two Ionic pillars. The beautiful dome reaches a height of 53 m. The interior of the temple is oval and both sides have had built two chapels. Very close to the central square you can see and visit the oldest opera in the Italian Peninsula San Carlo theater. Naples has many museums andchurches and an interesting underground geothermal zone. This is a system of caves and structures that are due to mining activities over the centuries. Among the sights of Naples are also several beautiful castles. New Castle - Castel Nuovo was completed in 1282 and today is considered an architectural symbol of the city under Mount Vesuvius. On Megaride island, which once connected to the mainland only by a narrow strip of rock, is one of the biggest attractions of Naples and is known as Castel del Ovo or, the egg. The castle was built in 1154 by order of William Norman, known as the bad guy. From these times there is still the big arch and the main tower. Egg Castle is now an integral part of the history of Naples. Huge arches connect the two parts of the island, surrounded by high walls and medieval buildings - the only surviving Normandy and central towers of the 16th and 17th century are known as, loggias and barracks. Over the past 40 years the egg castle has been under the custody of the Italian cultural ministry.